END OF WORLD WAR 1. November 11, 1918. That would be Jamba Juice where it says Plaza Land Office on Pacific and the Post Office will be built later to the left where it says Toscano Hotel on Front Street. RICHELLE NOROYAN RUNNING FOR CITY COUNCIL. I ran into Richelle as she was meeting Dan Coyro for Sentinel photos last week. She confirmed she is running for Santa Cruz City Council and will file papers on 7/16. Richelle has been a chairwoman in the Democratic Central Committee. She replaced Zach Friend and is part of that group of “Democrats”. People like Cynthia Mathews, Darrell Darling, Judy Warner, Carol Fuller, and David Terrazas. Richelle will vote just like Cynthia, Carol, and Darrell do. It’ll keep that same “developing democrat” majority on the council. Are all being freely discussed and mark my words this could and should change the political climate of our fair city….much more later. BRIAN MANN DIED. Live theatre fans all knew Brain Mann. He was a regular at the Cabrillo Theatre productions. I asked his widow Joyce Mann for just a few stage credits. She wrote such a fine tribute I’m including it all here….Brian was a champion gymnast in England, and so one of his first roles was as the acrobat in Carousel. When he came over to California, he became involved with the Saratoga Drama Group in 1968, and did a couple of musical shows with them every year. He also served on their board for 7 years. His signature role has to be Pickering in My Fair Lady. He played the role four times: with Saratoga Drama Group, Foothill College, San Jose Performing Arts Theatre, and finally Cabrillo College in 1988. He played opposite Peter Donat at Cabrillo. Peter was not the easiest person in the world to work with. He constantly tried to upstage Brian, who would then move further upstage, and so on, until they were barely visible. Great fun. This was Brian’s first appearance in Santa Cruz County. Other Cabrillo roles include Pellinore in Camelot, Giles Corey in The Crucible (a feisty farmer who was pressed to death) and the Honest Jew in School for Scandal. One of my favorite performances was his Geoffrey, the South African art dealer, in Six Degrees of Separation. He worked with Chita Rivera in Anything Goes at the SJPAT in San Jose. Chita was a perfectly charming, friendly, and considerate person to work with. He kept a card she gave him with a rose. He played Senex in A Funny Thing Happened on the Way to the Forum. Of course, we met in theatre in 1974, when we were co-starring in Agatha Christie’s The Mousetrap, at Villa Montalvo. We also appeared together in Ten Little Indians (now known by the PC title And Then There Were None), in which he played the part of General George Gordon MacArthur. His performance was so touching it reduced me to tears each night. We sang together in Gilbert and Sullivan’s Patience. He was a heavy dragoon, and I was some sort of wishy-washy maiden. As you know, working in a play can be stressful, and if you emerge at the end of the run still talking to the rest of the cast, you’ve done well. Brian was great to work with—very inclusive, kind, helpful, and unassuming. I hope these notes are helpful”. Thank Joyce the next time you see her. Big issue in Michigan this summer – legalization of FIREWORKS! You would think people in the conservative area of Michigan where I spent the past two weeks would be complaining about the President’s Health Care for All being approved by the Supreme Court. I heard less complaining about that than has appeared here in the Sentinel’s Letters. But everybody I knew or talked to was more irate by the Governor’s decision to legalize just about all fireworks for use in neighborhoods throughout the state. These bottle-rocket fireworks, along with mortar-launched exploding devices had always been prohibited except for the usual 4th of July supervised displays. Now anybody can buy anything at the many fireworks stands throughout the state. While I was there, one 150 year-old church in Grand Rapids burned to the ground after a fire started… on its rooftop. A woman was severely burned, three houses burned down that I heard of, all because of fireworks. So what prompted the Governor and lawmakers to let this happen? They wanted to keep the fireworks lobby happy and keep the money being spent by Michiganians from going to Indiana and Ohio where fireworks are apparently legal. Oh yes, and local municipalities cannot override the state law allowing these fireworks. It looks like Michigan has solved the “illegal” fireworks law enforcement expense problem by legalizing fireworks for everybody in the state. Let’s hope our state lawmakers never do such a stupid thing. Waiting in the mailbox, I found a postcard from Hamilton Swift and Associates announcing two “Community Design Workshops”, one on Tuesday, July 17th and Wednesday, August 22nd. Both are scheduled for 7:00 P.M. at the concrete fortress known as the Community Foundation of Santa Cruz County, 7807 Soquel Drive in Aptos. Perhaps they will explain why adding space to a Safeway Store needs a Community Design Workshop? Plan to attend one or both of these meetings and let these consultants know what you want to see happen. Personally, I just want to see Safeway go away, or at the least just build a Safeway that looks like their store in Scotts Valley. (Paul Elerick is co-chair, along with Peter Scott, of the Campaign for Sensible Transportation, http://sensibletransportation.org , and is a member of Nisene 2 Sea, a group of open space advocates). SAFEWAY IN MONTEREY COUNTY AND EMPLOYEE RELATIONS. VINTAGE DE CINZO. 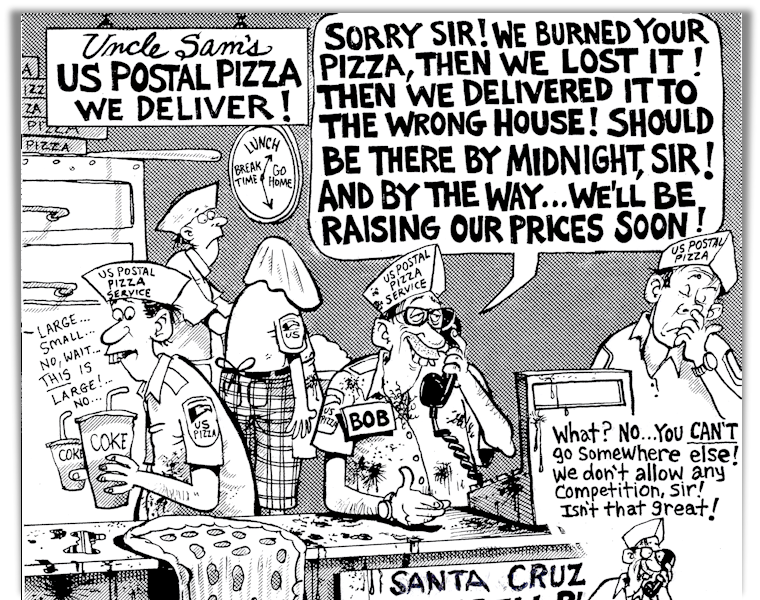 All Hail the USPS…anyway !! Scroll downwards. “Every so often here on ice, I find myself in situations that require a delicate negotiation between my private beliefs and my obligation to harmonize with others on station. Dinner conversations, for instance, might wander through a minefield of controversial topics like abortion or so-called Obamacare. After a few uncomfortable exchanges, the average ice-worker develops a sense of when to skip dessert and slip out of the Galley in order to preserve the peace. Simply put: getting along is part of the gig and one that I appreciate. The intense social arrangements make intolerance or active antagonisms difficult to sustain, a fact that forces us to stay open-minded is one I find refreshing. Usually, I mean. Sometimes I decide in favor of standing my ground, even if that feels like stranding myself on a deserted island. The Fourth of July was one such occasion. I went to the faux-BBQ, eating potato salad off paper plates and reminiscing about crazy family members with the rest of the gang. When it came time for the group photo in front of the giant American flag, I ducked out discreetly– except that what counts as “discrete” changes radically when you live in a town with a total population of nineteen. Of course, people noticed my absence and asked me why I left so suddenly. I gave my honest answer: any celebration of this country as a beacon of freedom is farce. I will not pose for photographs with the American flag while the country remains at war, certainly. The last decade has seen other, equally egregious attacks on human rights within in our own borders, for example: the virulent criminalization of immigrant workers, myriad attacks on reproductive rights, continued subsidies for factory “farming” despite its proven cruelty and wastefulness, expansion of mountain top removals and fracking zones. The list goes on and on. I refuse to say-cheese with the dominant symbol that unites these practices lest someone interprets my smile as consent. Most people nodded politely, several others rolled their eyes, yet only one person made an actively disparaging comment. Does that reflect tolerance or indifference? No idea. But I did feel awfully alone eating my dessert in the stairwell”. GUSTAV KLIMT. A KISS CHANGES THE WORLD. LISA JENSEN LINKS: Lisa writes: “This week at Lisa Jensen Online Express (http://ljo-express.blogspot.com/), follow me on a virtual tour of Vienna in search of the paintings of Gustav Klimt (celebrating his 150th birthday this week: July 14). Also, welcome back the redoubtable Christopher Moore to the Capitola Book Cafe, and prepare to be swept away by the haunting bayou fable Beasts of the Southern Wild.” Lisa has been writing film reviews and columns for Good Times since 1975. ROGER EBERT INTERVIEWS QUVENZHANE WALLIS. For obvious reasons you don’t see Roger until the end, but this gives you some idea of the talent, charm and acting ability of this either 8 or six year old star of “Beasts of the Southern Wild” film opening Friday, July 13th. BEASTS OF THE SOUTHERN WILD. This is one of those films where you walk out of the theatre saying “THAT’S why I love movies”! I’m putting this on my 2013 Oscar list. So real it’s almost a documentary. Most of the cast are just locals and that show sometimes but Quvenzhane Wallis is worth going twice….don’t miss it. TAKE THIS WALTZ. It doesn’t open until July 20 but it’s another excellent film. Michelle Williams, Seth Rogen and Luke Kirby do beautiful, complex, and completely involving roles. They are young people in love and working out a rugged part of life. Just go, don’t read any more anyplace about it. Sarah Silverman is in it too, but that doesn’t matter much. SAVAGES. 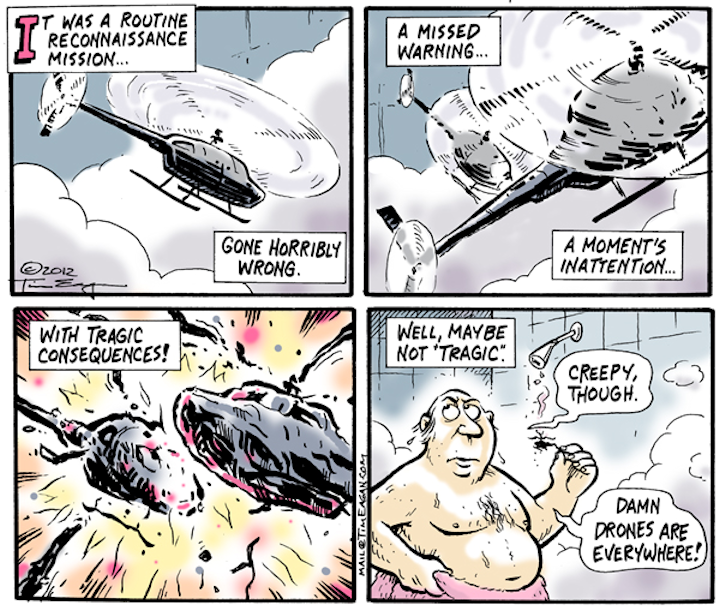 You’d be tempted to think that a film directed by Oliver Stone would be good, this one isn’t. It’s not even close. Acting by John Travolta, Salma Hayek, and even Benicio Del Toro is simply poor. If you ever spent time in Laguna Beach there’s a lot of footage that’s fun to watch. Mr. O. Stone delivers no tension, thrills, or reason to attend, so don’t. THE AMAZING SPIDERMAN. You’ve got to really be into Marvel or Action Comic hero movies to appreciate this “spin-off” (note pun). You have old stars like Emma Stone (24) and Andrew Garfield (29) playing 17 year old highschoolers which is only a little off putting, but the effects are excellent. Rhys Ifans plays the one–armed evil deed doer, and he’s just barely stupid. What you secretly hope is that somebody will kill both Sally Field and Martin Sheen who play Spidey’s stepparents, they are just terrible. BUT if you like comic book movies, go see it. it’s fun. FESTIVAL DEL NOPAL, SANTA CRUZ, 2011. A grand celebration of the cactus, check it out. And yes, this is probably what Tony Madrigal does on his computer while the Santa Cruz City Council meetings are going on. FESTIVAL DEL NOPAL 2013. It’s the 3rd Annual Festival Del Nopal, its July 22nd between the library and Cruzio on Church Street. The market part goes from 10 am -6p.m. 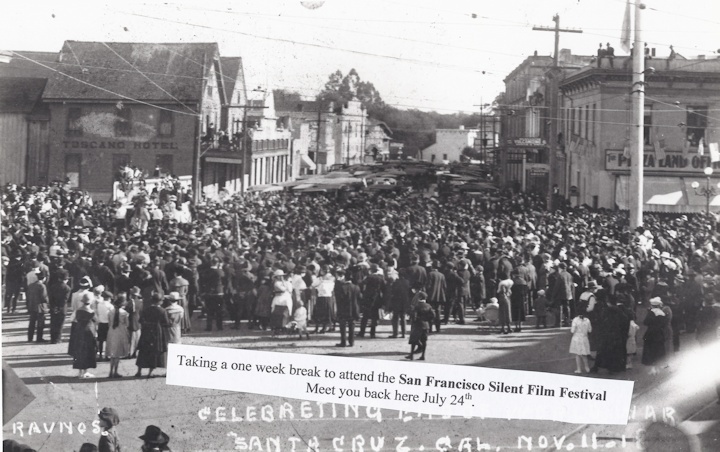 and the program with dancing, crowning the queen, goes from noon to 6 p.m.
17th ANNUAL SAN FRANCISCO SILENT FILM FESTIVAL. I’ve been attending these Silent Film Festivals for at least 14 years, and they get better every year. Started by Stephen Salmons a former Santa Cruzan and usher at the Del Mar the 4 day event held at the historic Castro Theatre changes your concept of the power of motion pictures. If you liked “The Artist” you should see the genuine masterpieces screened properly with the musical accompaniment. Newly restored films such as Doug Fairbanks in The Mark Of Zorro, Louise Brooks in Pandora’s Box and Clara Bow in Wings are all simply films you never forget. Go here for all the details, www.silentfilm.org and then let me know and I’ll save you a seat. That’s why no column next week!! UNIVERSAL GRAPEVINE ARCHIVES. In case you missed some of the great people I’ve interviewed in the last 5 years here’s a chronological list of just this year’s podcasts. Click here http://kzsc.org/blog/tag/universal-grapevine then tap on “listen here” to hear any or all of them… all over again. The Great Morgani on Street performing, Paul Whitworth on Krapps Last Tape. Jodi McGraw on Sandhills, Bruce Daniels on area water problems. Mike Pappas on the Olive Connection, Sandy Lydon on County History. Paul Johnston on political organizing, Rick Longinotti on De-Sal. Dan Haifley on Monterey Bay Sanctuary, Dan Harder on Santa Cruz City Museum. Sara Wilbourne on Santa Cruz Ballet Theatre. Brian Spencer on SEE Theatre Co. Paula Kenyon and Karen Massaro on MAH and Big Creek Pottery. Carolyn Burke on Edith Piaf. Peggy Dolgenos on Cruzio. Julie James on Jewel Theatre Conpany. Then there’s Pat Matejcek on environment, Nancy Abrams and Joel Primack on the Universe plus Nina Simon from MAH, Rob Slawinski, Gary Bascou, Judge Paul Burdick, John Brown Childs, Ellen Kimmel, Don Williams, Kinan Valdez, Ellen Murtha, John Leopold, Karen Kefauver, Chip Lord, Judy Bouley, Rob Sean Wilson, Ann Simonton, Lori Rivera, Sayaka Yabuki, Chris Kinney, Celia and Peter Scott, Chris Krohn, David Swanger, Chelsea Juarez…and that’s just since January 2011. Hear them all!!! QUOTES. I’m having a vacation, and it’s so beautiful, and maybe I’ll never get another film idea in my life.